Kaala movie review: Kaala isn’t a film about a gangster but a film about revolution. And Ranjith stays true to his objective. The traces of what we saw in Kabali have been fleshed out and beautifully embellished. Kaala movie review: Kabali was Ranjith trying to make a Rajinikanth film. Kaala is Rajinikanth starring in a Ranjith film. 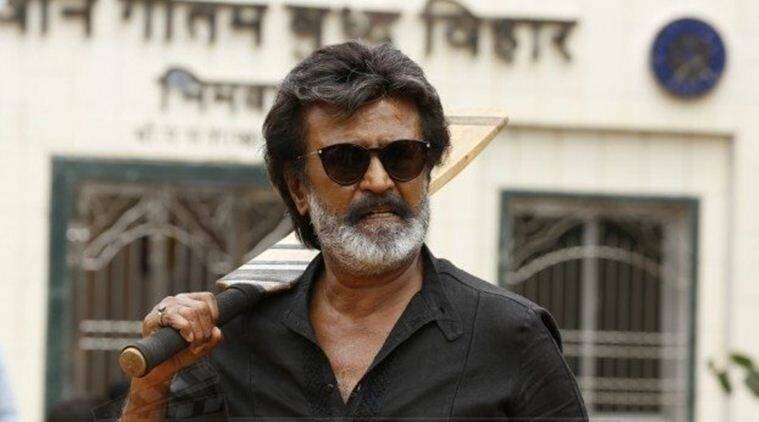 Kaala isn’t a Rajinikanth film — it is a Pa Ranjith film starring actor Rajinikanth; not the superstar, mind you. Ranjith makes this absolutely clear right from the word go by giving Rajini his simplest introduction on celluloid after ages. Kaala is seen playing cricket with young kids in the slum. You might be expecting him to hit a six. It is a Rajini film after all. Instead, Kaala gets his middle stump knocked out. Kaala calls to Valliappan (Samuthirakani), the umpire, and appeals for a no ball. But Valliappan gives a wide. An involuntary smile slowly spreads on my lips throughout this sequence. I knew immediately that we weren’t going to witness the superstar Rajinikanth, but rather the Rajini from the 80s, an actor with charisma and screen presence like no one else. Kaala is loaded with symbolism. The frames are painted with blue (Ambedkar’s colour), black (the colour of protest) and red (the colour of revolution); so is Rajini who is predominantly dressed in these colours (Watch out for the climax sequence). Kaala’s mythological references are also too obvious to miss. Ranjith’s play with Rama and Ravana, white and black reminded me of the book Asura: The Tale of the vanquished by Anand Neelakanta. His juxtaposition of mythological references to the growing dominance of the wealthy and the saffron isn’t without social relevance. A riot gets ‘infiltrated’, social media uprisings — the moments are real and it is tough to imagine that Ranjith had written this way before it happened in real life. Irony plays a tough hand as it is tough to ignore the contrast between real life and reel life. Kaala isn’t a film about a gangster but a film about revolution. And Ranjith stays true to his objective. The traces of what we saw in Kabali have been fleshed out and beautifully embellished. Just the mere fact that I have mentioned Ranjith more than Rajinikanth in this review is an indication of the voice he has as a filmmaker. And it is also equally appreciable that Rajinikanth has let the young filmmaker holler through him. At the audio launch, Rajini had said that Kabali was more of a Ranjith film while Kaala was a Rajini-Ranjith film. Kabali was Ranjith trying to make a Rajinikanth film. Kaala is Rajinikanth starring in a Ranjith film.